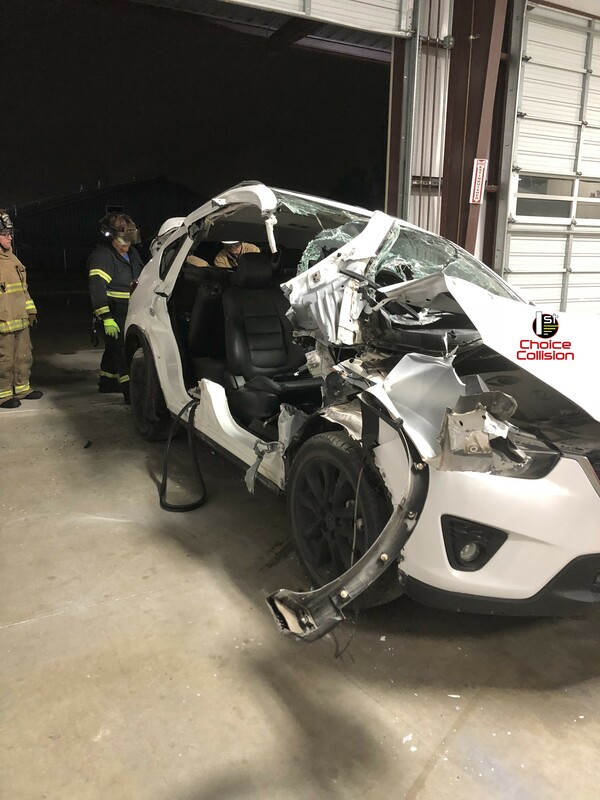 Local Fire Fighters Learn New Rescue Skills through National Auto Body Council First Responder Emergency Extrication™ Program Brought to Houston for the first time by First Choice Collision LLC. 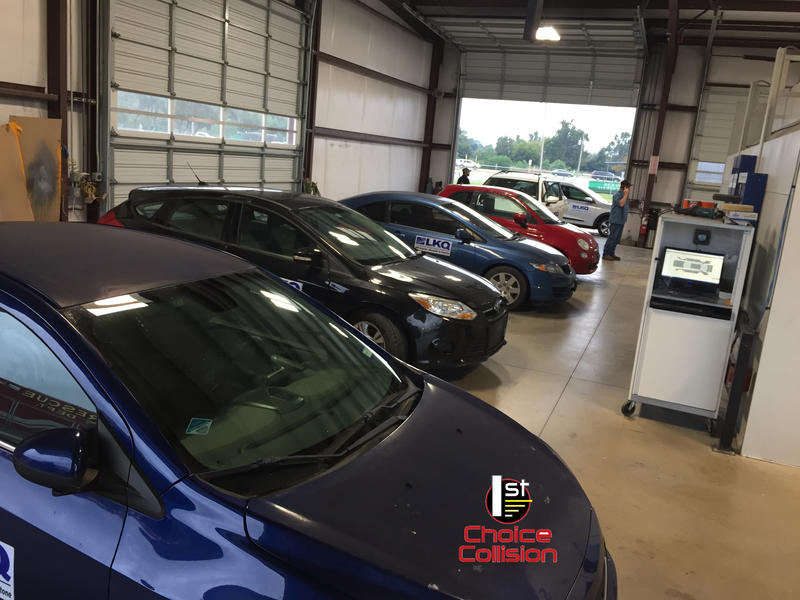 « Ribbon Cutting at First Choice Collision Cypress was a Huge Success. 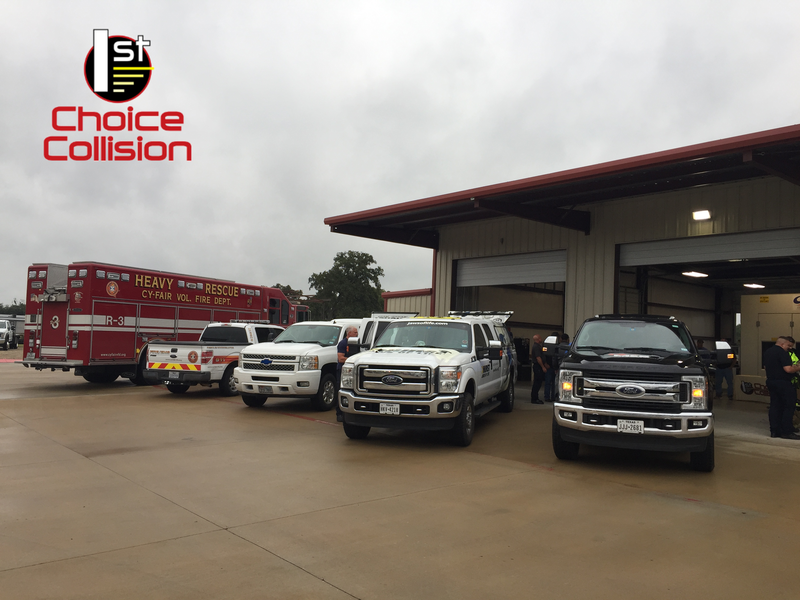 (CYPRESS, TX) – More than 35 fire fighters from various area fire stations gathered on Oct. 24, 2018 at First Choice Collision’s Cypress location at 11638 Telge Rd. Cypress, TX 77429 for a hands-on training event of the latest techniques in emergency vehicle extrication. 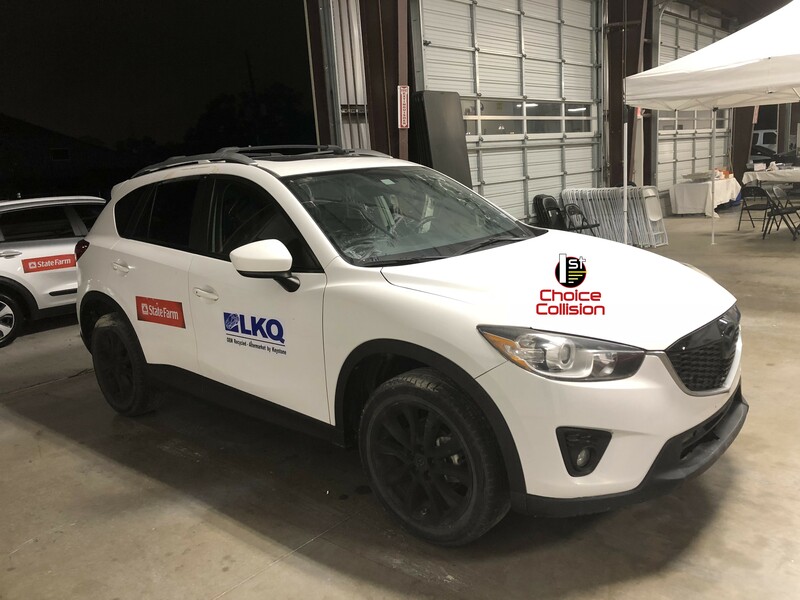 First Choice Collision was the first collision center in the Houston area to partner up with the National Auto Body Council’s First Responder Emergency Extrication™ (F.R.E.E.) program to bring this live event. “It was not a question of whether we would or would not have this event. As a family owned business, we cherish our family and if this event could help families in our community and our first responders in the area one day we were glad to do it,” said Mike Matejek First Choice Collision LLC, co-owner. In crashes where minutes can spell the difference between life and death, first responders to the accident scene need up-to-date information so they can act quickly and safely! Knowing specifically where and how to efficiently cut and extricate can make the difference in saving precious minutes and lives as well as the safety of the first responders. “We see first-hand what a vehicle can go through in an accident. Metal gets pushed around in all directions. It’s no surprise people can get trapped. 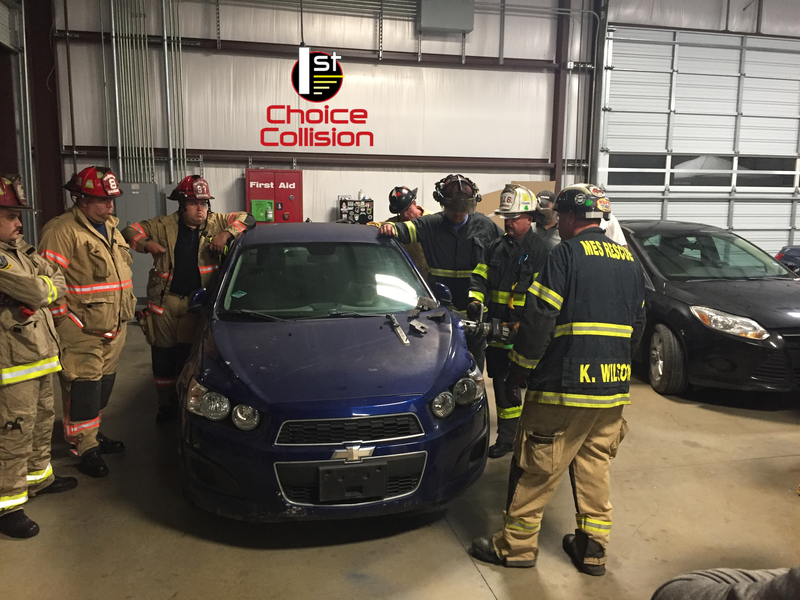 Giving the first responders the opportunity to practice extrication techniques is the least we can do to give back to a group of men and women who put their lives on the line every day,” said Ronnie Johnston First Choice Collision LLC co-owner. Keeping fire fighters up-to-date on the latest new technology in vehicles is a challenge for every local fire department. The NABC’s F.R.E.E. program keeps first responders abreast of the rapid changes in vehicle design. High-strength steel, airbags, advanced restraint systems, onboard technology and safety around alternative fuel vehicles were all covered in the program. The dangers for first responders if need arises to “cut” the vehicle for rescue was highly stressed. 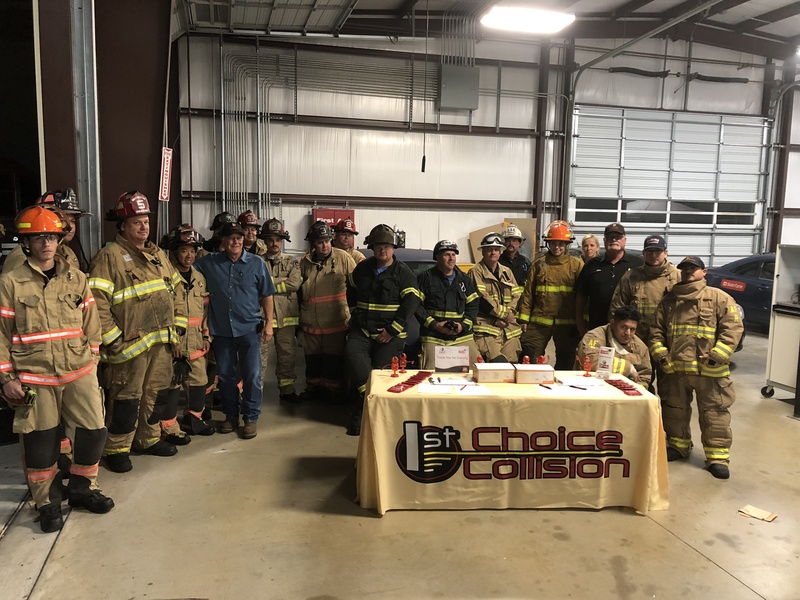 Along with First Choice Collision LLC commitment to bring this program to Houston and facilitate the event, State Farm donated 5 vehicles for training use, Hurst Jaws of Life supplied the instructors and extrication demonstrations. Another valued partner included LKQ Corporation who provided the towing services along with a delicious dinner for all the event guests. Through the efforts of all the parties involved the event was a huge success. Go to www.FirstChoiceCollisionLLC.com to learn more or visit our Facebook page to view live videos of the event. The National Auto Body Council is the premier organization of collision industry partners dedicated to strategic networking opportunities that positively change lives in the communities we serve. The collaborative membership of the National Auto Body Council has gifted 1,800 vehicles, provided extrication opportunities for over 1,000 First Responders and contributed to thousands of distracted driving pledges in communities through NABC Recycled Rides™, First Responder Emergency Extrication (F.R.E.E.™) and the Distracted Driving Initiative. The National Auto Body Council is changing the paradigm of how the collision industry works and is viewed. Visit www.NationalautoBodyCouncil.org.